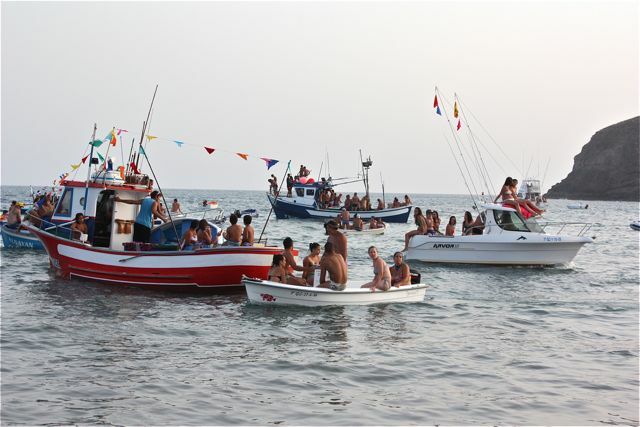 Fishermans friends. 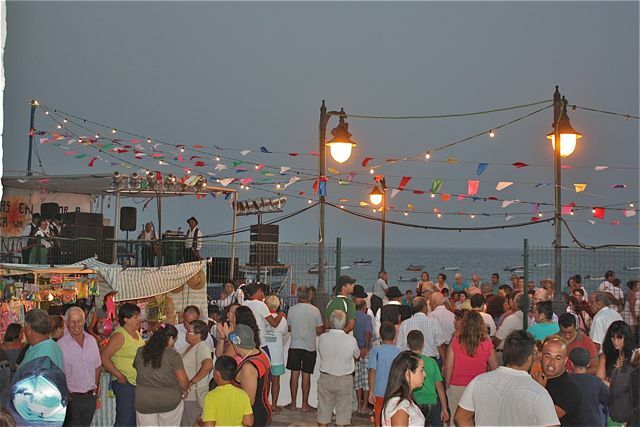 Fiestas del Carmen in Giniginamar. 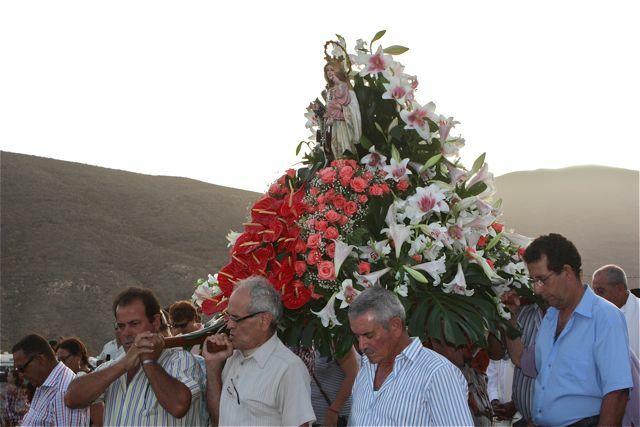 A big thanks to Catholics at this point. 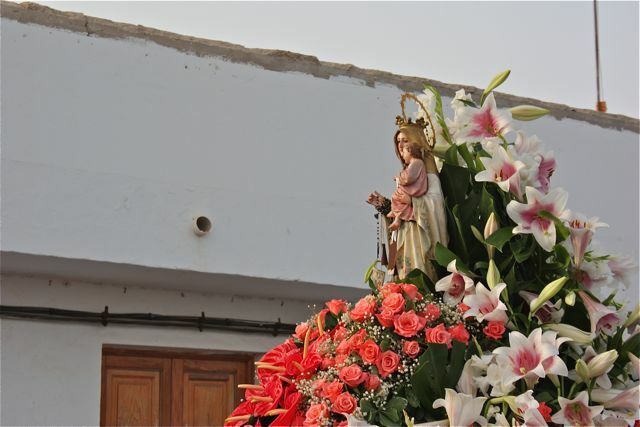 Thank you – especially for the beautiful celebrations with which you bless us regularly. 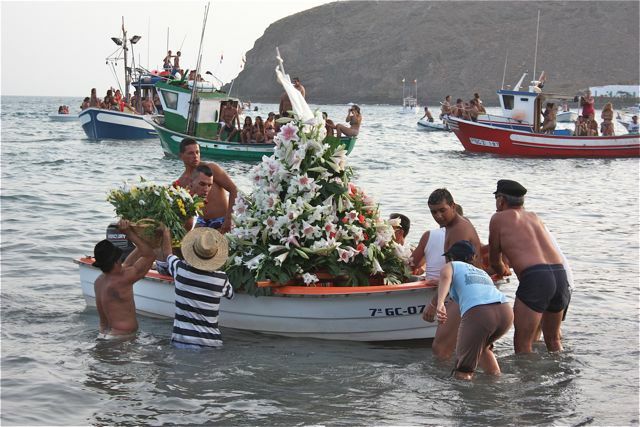 Particularly in the Canary Islands where nobody knows to celebrate the festivals like the my canarian friends. 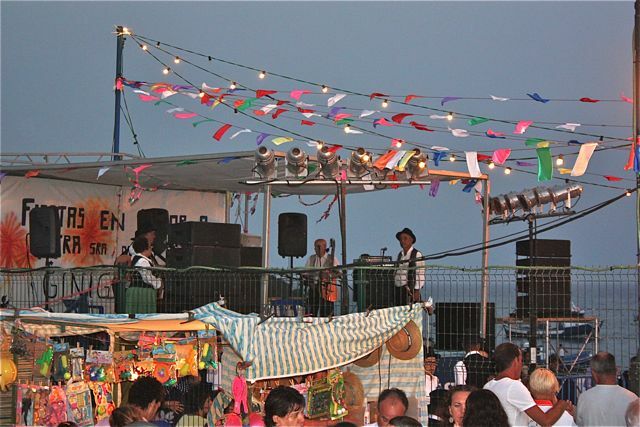 2012, I was very lucky to visit Fuerteventura again and for the first time I participate in Giniginamar at the “Fiestas en honor a Nuestra Sra Del Carmen”. 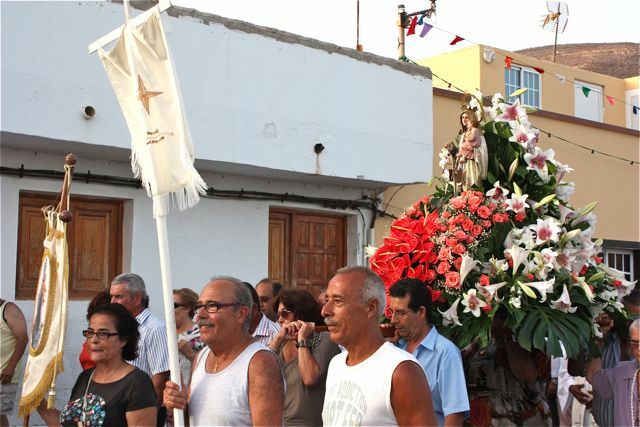 The patron saint of sailors and fishermen, and honored to this day in many fishing villages. 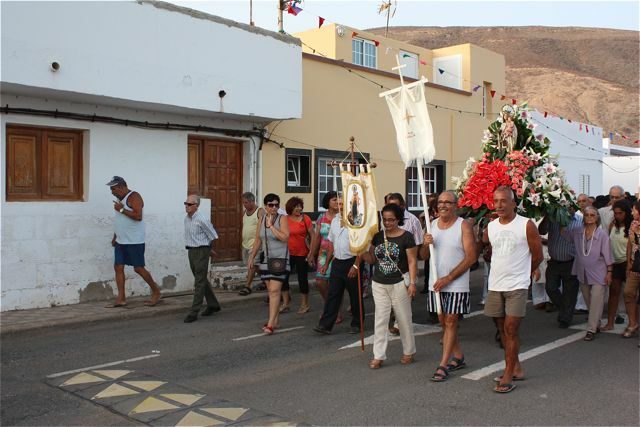 Compared to the two parties that take place on the same day in Morro Jable and Corralejo, for my taste, these fiesta is a little quieter, more relaxed and a bit traditional, even when the catchment of modernity could not be denied. 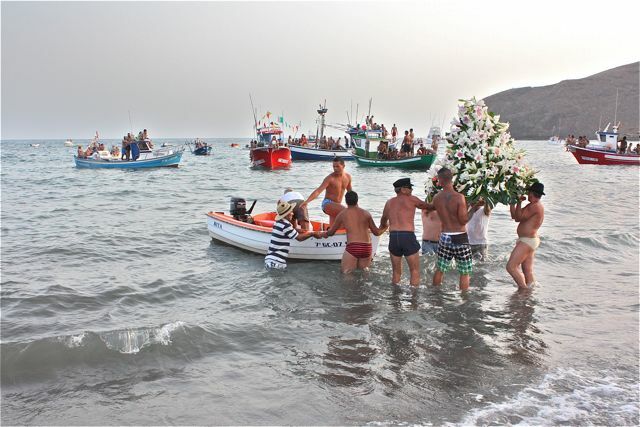 After almost an hour standing with a small group of people n front of the small and very pretty church in Giniginamar, listening without understanding, finally the group began to move ad with them also the pretty flower-filled patron of the village (who listened with dignity until the sermon, looking motionless on the sea closeby) carried on the shoulders of older menh. 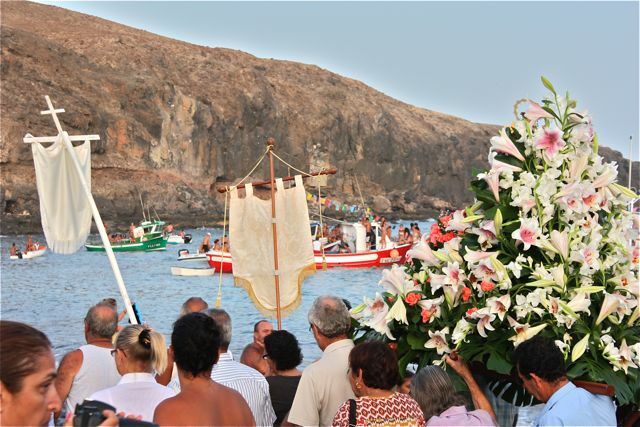 Because, as always at this time, the 16th of July of each year, it was time to leave the church and enter the “real world” outside and bless the fishermen and their fishing boats. 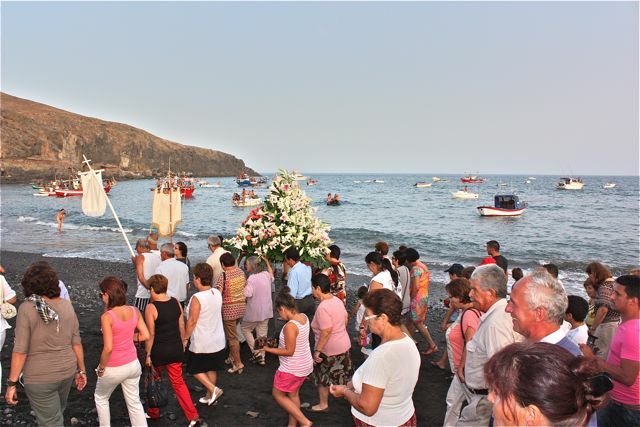 The procession of the Fiestas del Carmen Giniginamar first led along a small village road parallel to the beach and then straight down to the sea. 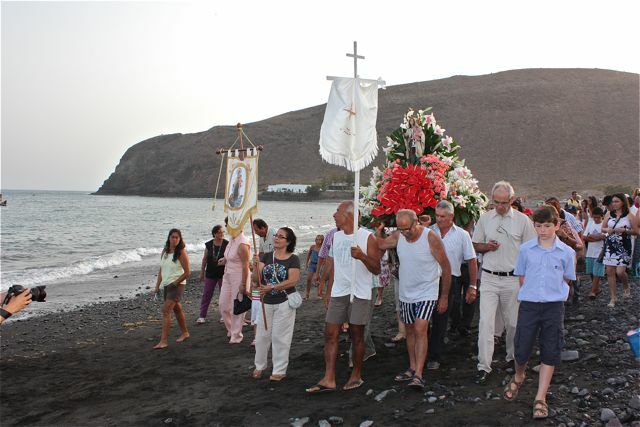 In front oft the procession ran adults and children, back and forth, with both large and small cameras and video cameras in order to make a nice souvenir photo. 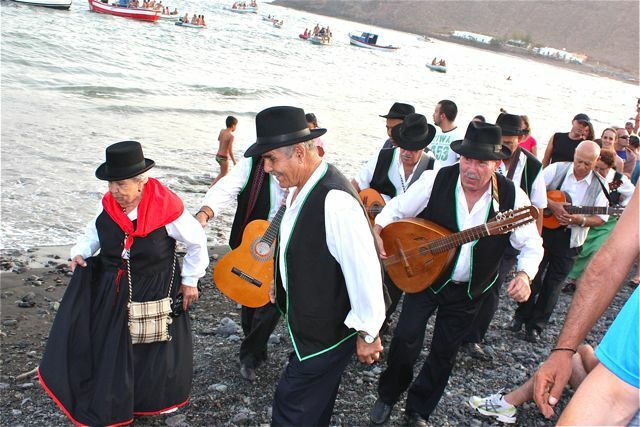 The proud and dignified patron, on the shoulders of the man, followed however a more or less inspired society, including a Canary folklore group (“Parranda”) with their Timples, Bandurrias and her pretty dresses. 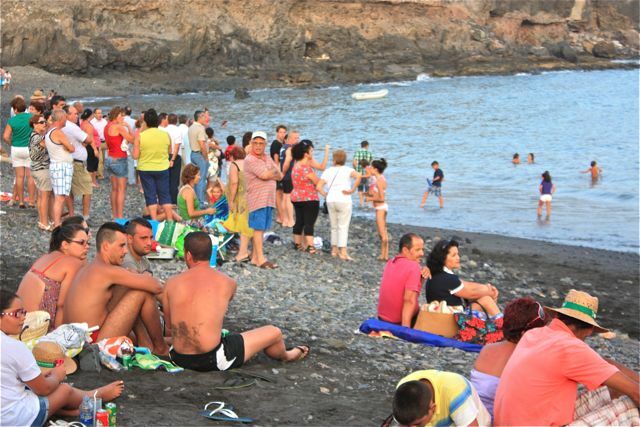 The attending audience who had the whole day already on the beach, spent time with swimming, eating and drinking, were now almost all “awake” and applauded the patron with a friendly smile, very happy and sometimes euphoric . 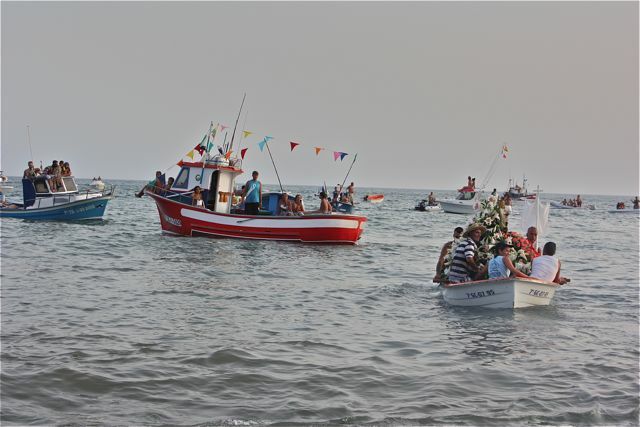 On the calm sea, the fishermen were waiting on theire boats (used to this day as a party zone) in the still shining strong, warm light of the slowly setting sun. 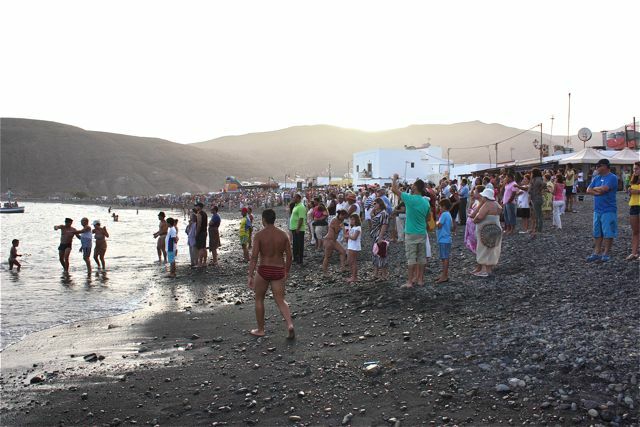 On them, many young people had party and followed the traditional procession in their tight swimming trunks and bikinis. 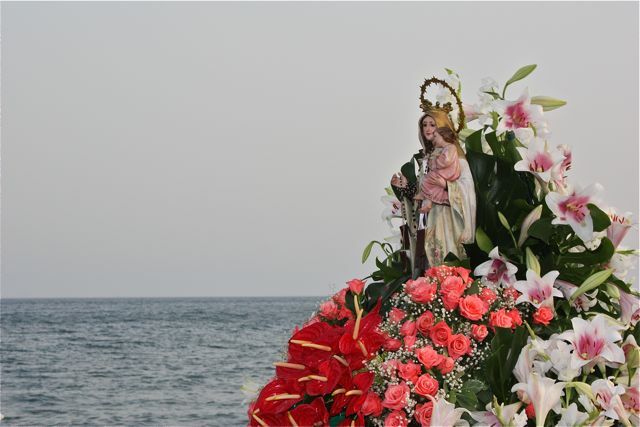 Arrived at one end of the bay, the patron saint was eventually carried on a small fishing boat on which “she” crossed now the wide bay of Giniginamar – accompanied and followed by the charming fishing boats with the fisher men who tried to touch the boat of the Madonna. 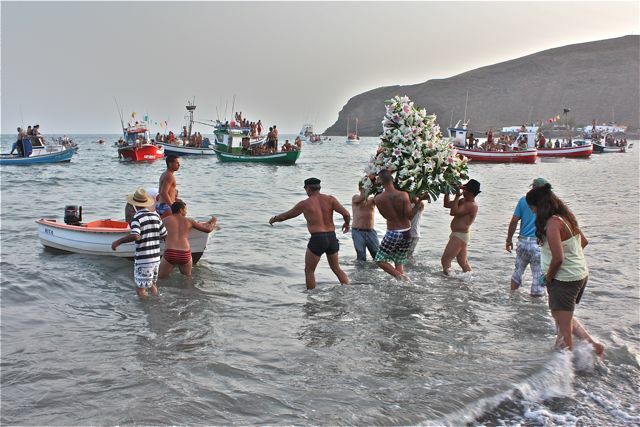 Even for me, a child of modernity, not a Catholic and not a fisherman, but this fiestas was something special. 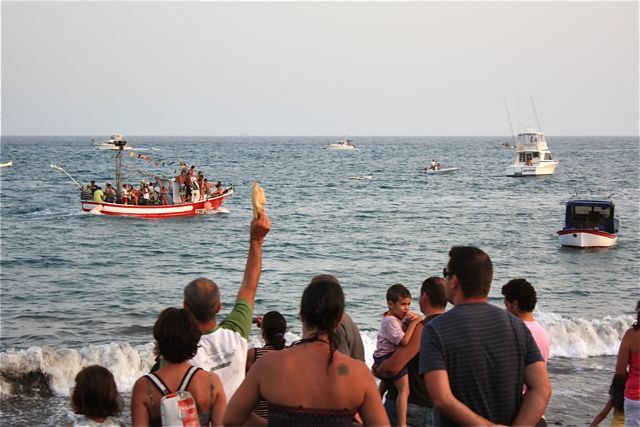 Because the image reminded me yet again at the power of nature and of the sea, its destructive as well as life-giving force. 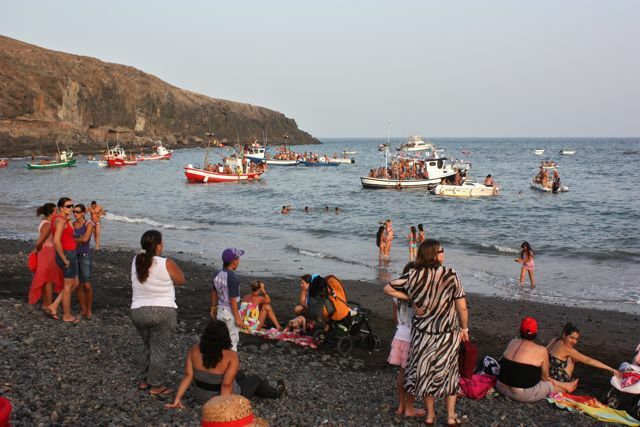 And the the ocaen means really more to us, than only a nice holiday experience with swimming, snorkeling, diving, wind surfing or kiteboarding. 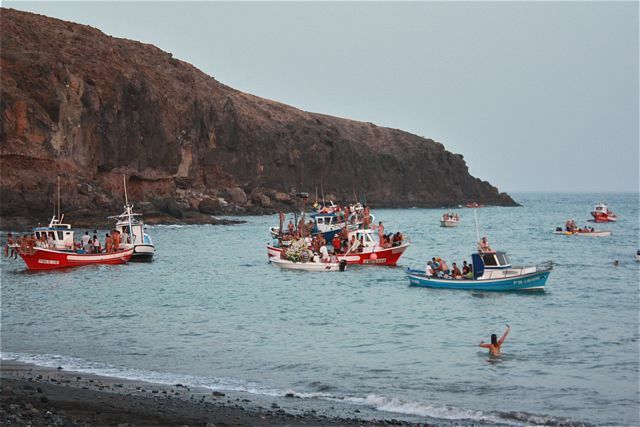 Especially here in Fuerteventura, where generations survived on fish fed and when the ocaean also means a waterway to explore other islands and continents, to trade, to find work and bring people closer together (now, unfortunately, with all negative events of globalization). 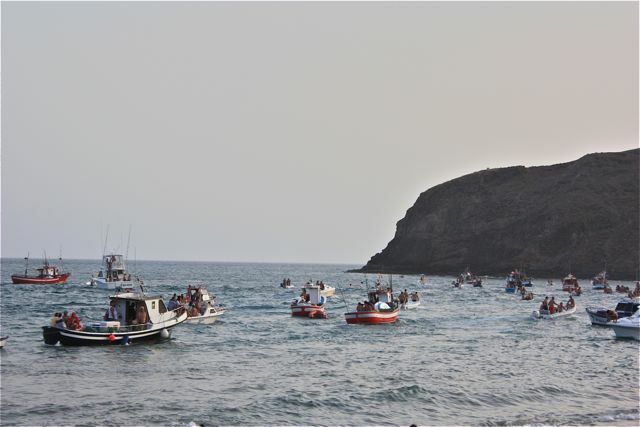 These thoughts I had, but only briefly, because I finally found myself in the company of a large group that was now on the lookout for somerefreshments. 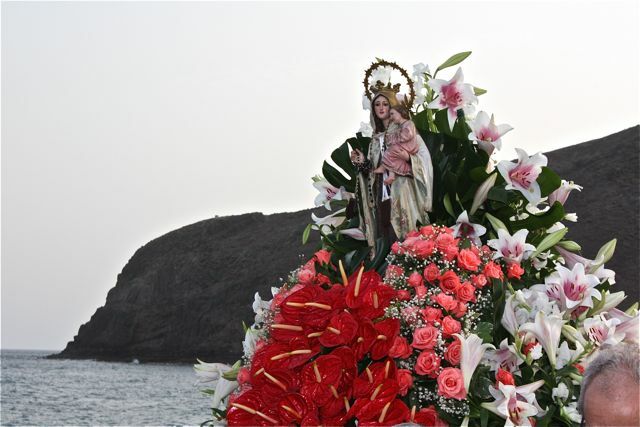 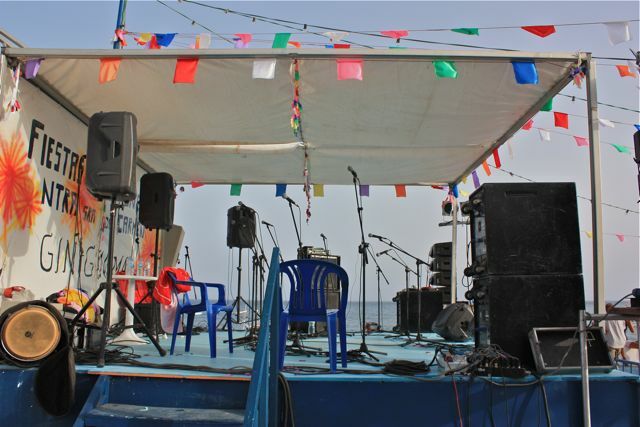 On a small stage next to the sea appeared the Canary Island folklore group that had previously accompanied the pretty Madonna statue, which at this time was still back in her small church of Giniginamar, somehow smiling, happy and a bit exhausted from her long trip.